In addition to worshipping the Lord by hearing and obeying his word, the Lord is to be worshipped with singing and shouting, with thanksgiving and with music and song. The image is that of the Lord coming out of eternity as the originator and the creator of the earth. And, he continues to maintain order in his creation from the roots of the mountains (which are the depths of the sea according to Jonah 2:5-6 and Psalm 104:5) to the highest peaks of those same mountains. It is this Lord, the Creator and Sustainer from eternity, who is to be praised with thanksgiving, shouts and song. This Great King of all gods is the very Rock and Foundation of the worshipper’s salvation and deliverance. "No one, unless he is an expert theologian, should argue with these people (the Jews). But a layman, whenever he hears the Christian religion abused, ought not to defend its tenets, except with the sword." Micah 1:14. 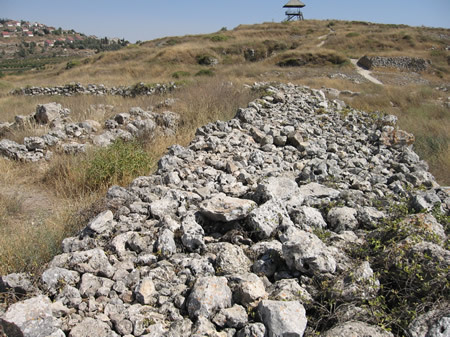 In Isaiah 58:11 akzab is used to refer to a spring of water. 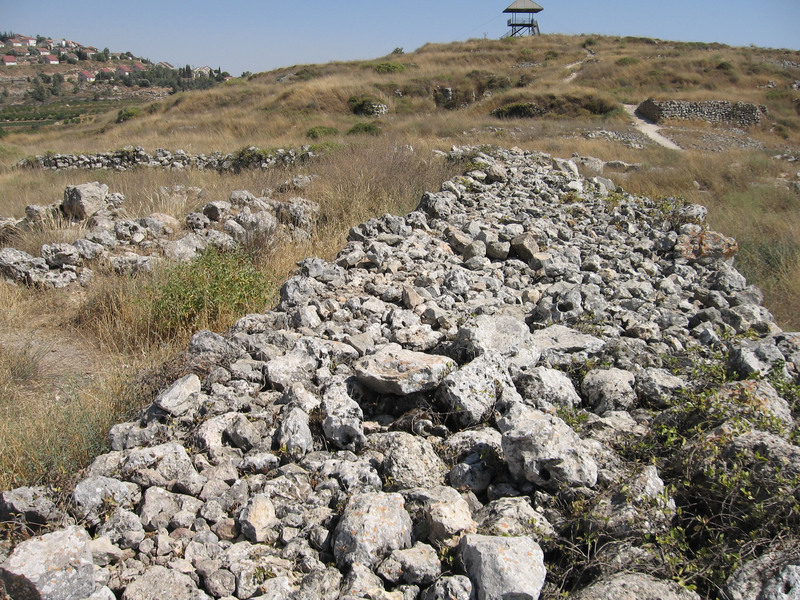 Shiloh and the base of a rectangular stone wall in an area where the Tabernacle could have stood. 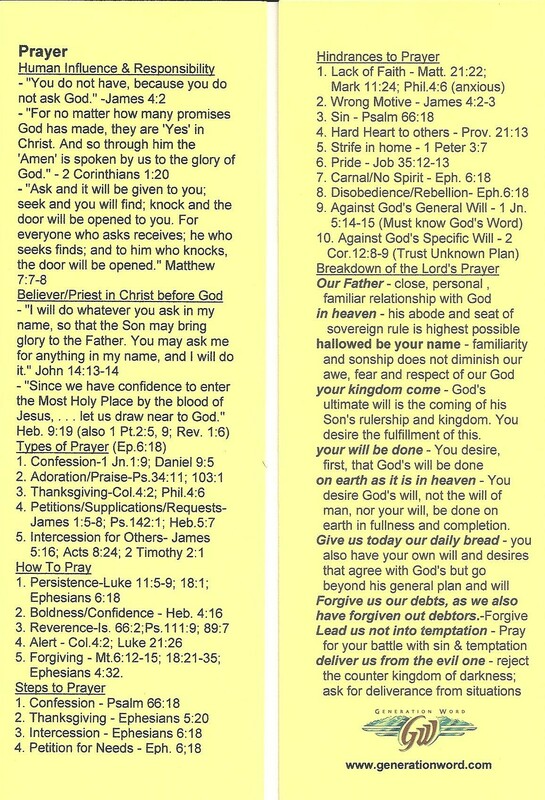 This is a useful image of both sides of a book mark with general teaching concerning prayer from a Generation Word Bible study on the topic of prayer.